Innovate, suceed and enjoy it. This is one of the quickest ways for you to discover the best ways to scale your business. Our FREE and easy Scale Up Challenges have been have developed especially for SME’s who want to grow. They will help you understand your business’s strengths and areas for improvement. All in under 6 minutes for each section. To grow every business must have a strategy. This challenge will evaluate the 3 areas below to help identify where you can make improvements. In any business cash is king. In this challenge we will identify the pinch points in your business so that you can gain control and grow. A business is only as strong as its team. By taking this challenge we help you to identify any skill gaps that could take your business to the next level. Streamline processes to find missing opportunities. Take this challenge if your business lacks efficient processes and to highlight ways to save money. 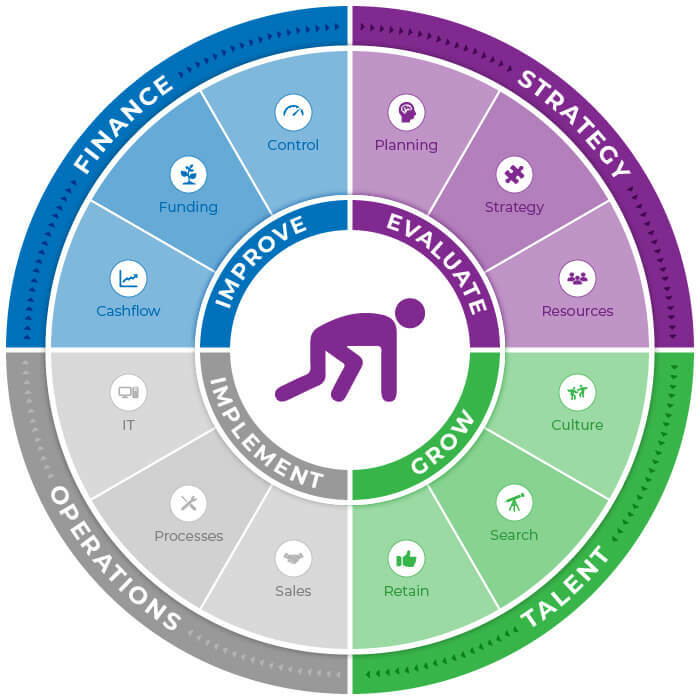 By taking this challenge we help you to identify skill gaps that could take your business to the next level.